Pages 95-97 are reviews of 21 fiction/non-fiction books, including those by Gerald Kersh, Madelaine Duke, Henry Treece and Sergeanne Golon. Details supplied by Ian Covell. Pages 92, 94, 97, 98 are book reviews / Page 99 is an advert for the Mystery Book Guild listing its Oct - March output [DONT LET HIM KILL, Gordon Ashe, Oct.. TARGET: MIKE SHAYNE, Brett Halliday, Nov... DEVILS DUE, Maurice Procter, Dec... BLOOD ON THE RIVER, William L Heath, Jan... DEATH IS A TIGER, Max Mundy, Feb... LOOK BEHIND YOU, Jay Barbette, Mar... all offered at 4/- plus 8d p&p. Details supplied by Ian Covell. 14 · The Woman Who Did · Leslie Brewer · ar [Grant Allen]; a 5pp article which essentially summarises Grant Allens 1895 book in a series of excerpts, and some commentary on the books intention and effect. Pages 70-72 Book Reviews. Details supplied by Ian Covell. Pages 79-81 Book Reviews. Details supplied by Ian Covell. 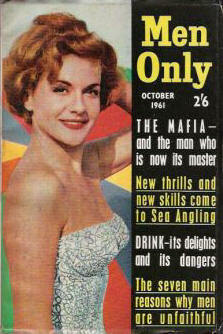 Cover is Ursula Andress who has a part in DOCTOR NO. I didnt recognise her. Pages 77-79 Book Reviews, including over a page by David Arkell on A CLOCKWORK ORANGE. Details supplied by Ian Covell. Pages 80-81 Book Reviews. Details supplied by Ian Covell. 77 · Conversation with a Rebel: David Arkell talks to David Benedictus · David Arkell · iv; the author of the controversial novel, THE FOURTH OF JUNE. Pages 76-78 Book Reviews. Details supplied by Ian Covell. 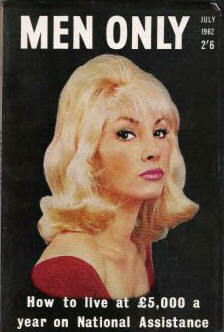 75 · I Took a Lorry Ride to Fame [Gareth Powell] · Victor Briggs · iv; interview with Gareth Powell, MD of Mayflower books. Pages 67-68 Book Reviews. Details supplied by Ian Covell. Pages 69-70 Book Reviews. Details supplied by Ian Covell. 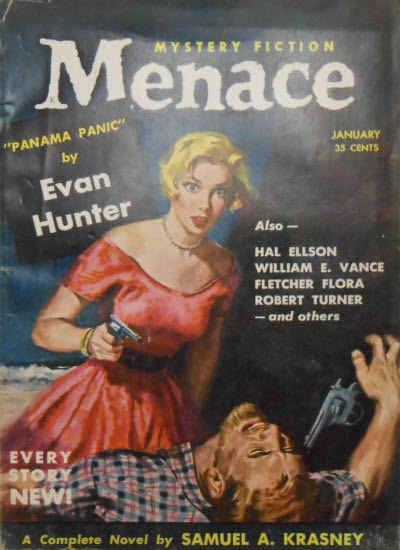 Menace, like Murder, was a short-lived attempt to please the reading public with contemporary crime-adventure stories that were but one step removed from the pulp magazines. 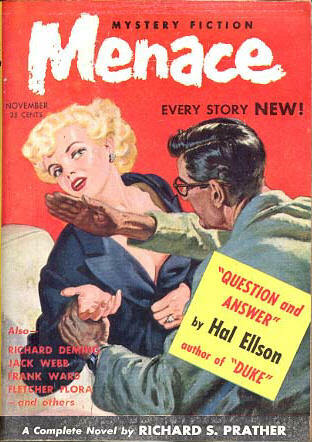 Although not lacking better-known writers, the competition was too fierce and the magazine folded after only two issues.